EL DISEÑO ATREVIDO QUE TIENE DELICADO CON LAS ALAS ENORME. ES LA OBRA MAESTRA. EL CABELLO COLOR ROSA, EL TRAJE CARMESÍ, ESTA EDICIÓN TIENE UNA BELLEZA QUE ES DIFERENTE DE LA VERSIÓN NORMAL. POR SUPUESTO, UTILIZA LAS PARTES TRANSPARENTES EN CADA LUGAR, HACE RESALTAR SU BELLEZA. PEDESTAL DE CRISTAL MORADO TRANSPARENTE AMPLIA LA VISIÓN DEL MUNDO DE Rage of Bahamut AÚN MÁS. ENTREGA A CUALQUIER PARTE DE LA REPÚBLICA MEXICANA POR $90pesos. 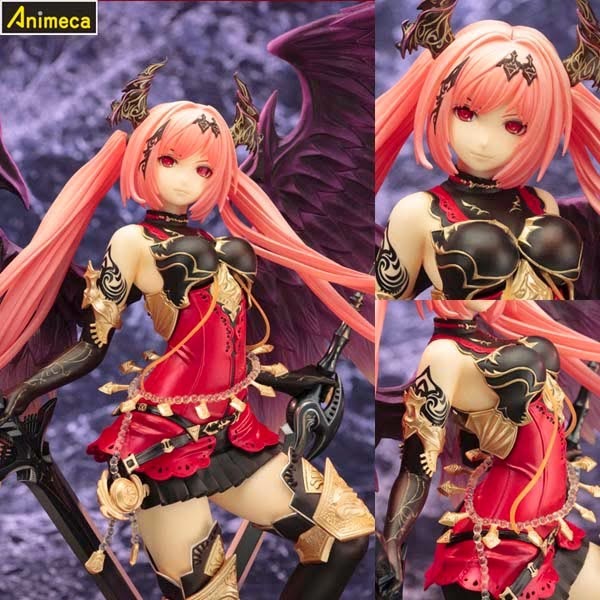 FIGURA Dark Angel Olivia Rage of Bahamut. FIGURA Cerberus Rage of Bahamut. Desde Unknown HORARIO 12:45 p.m.